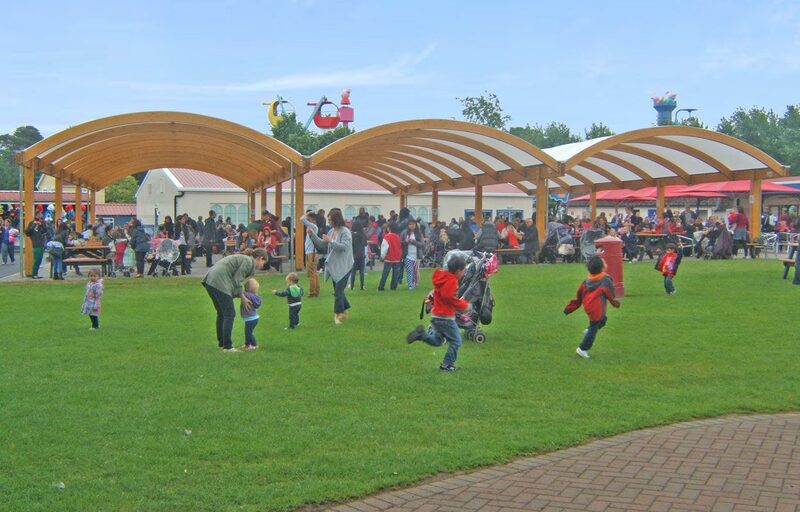 Multi-span timber canopy keeps guests under cover at Paultons Family Theme Park. 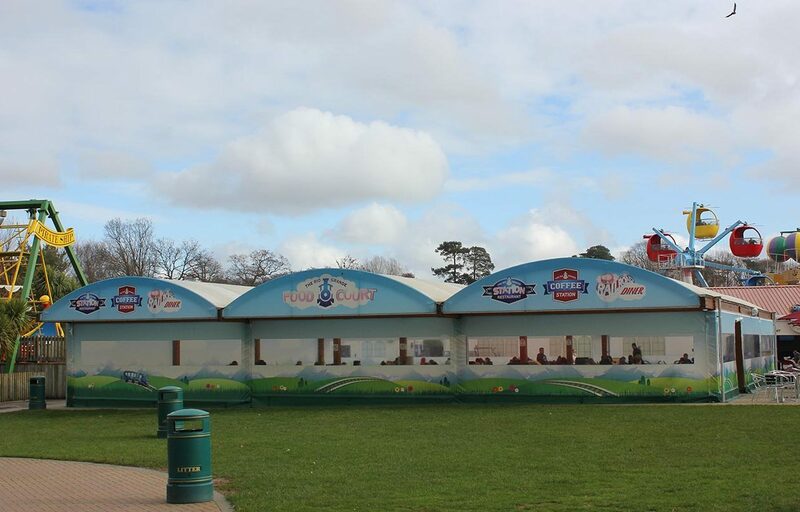 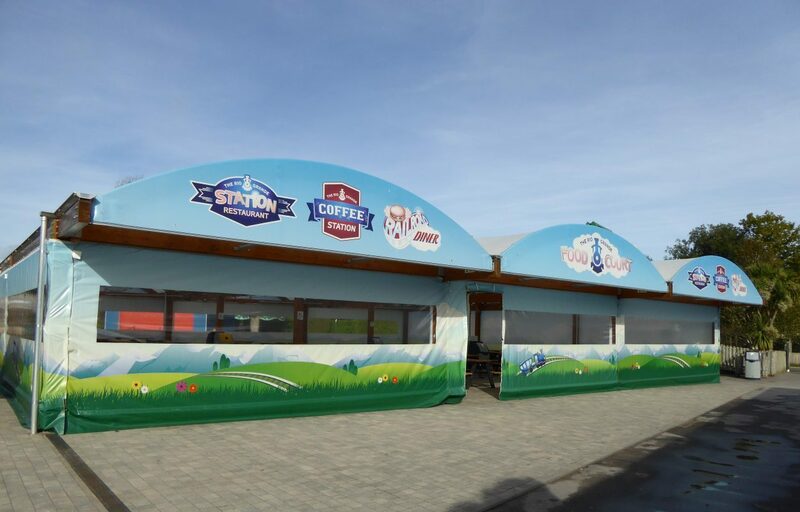 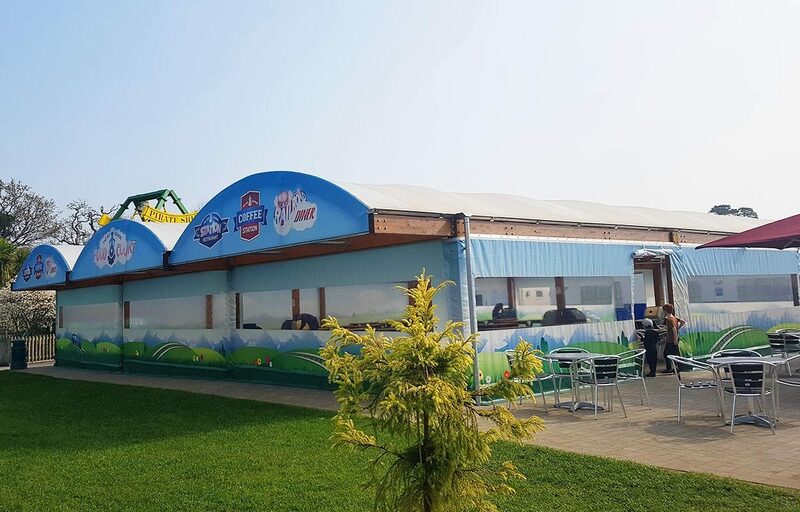 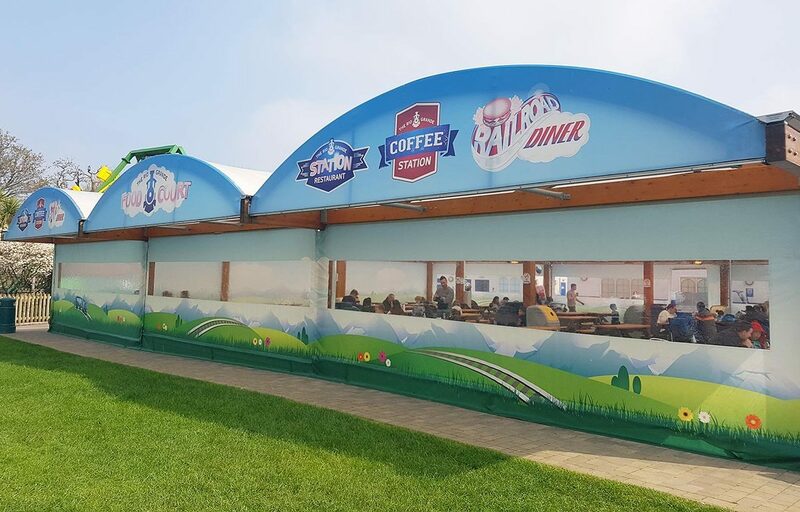 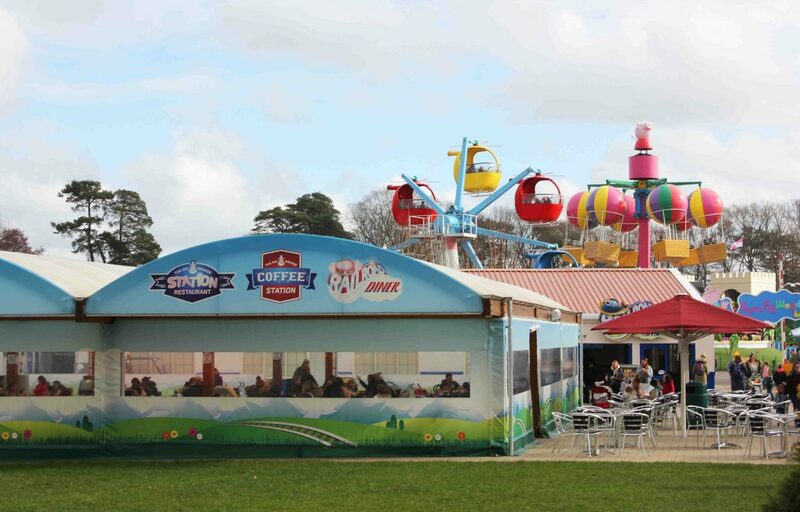 Fordingbridge designed this multi-span timber canopy for Paultons Park with the vision of creating an aesthetically pleasing dining environment to cover guests all year round. 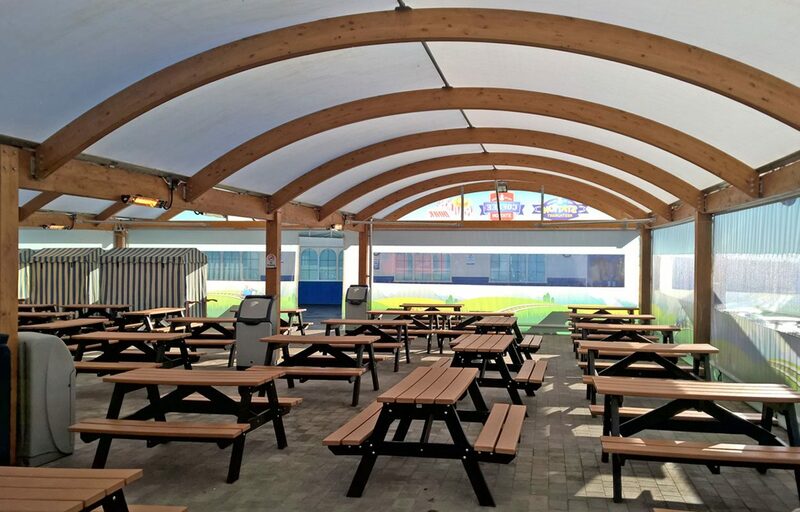 The barrel-vault curved structure has a glulaminated timber frame that allows for highly variable designs while also being extremely hard wearing. 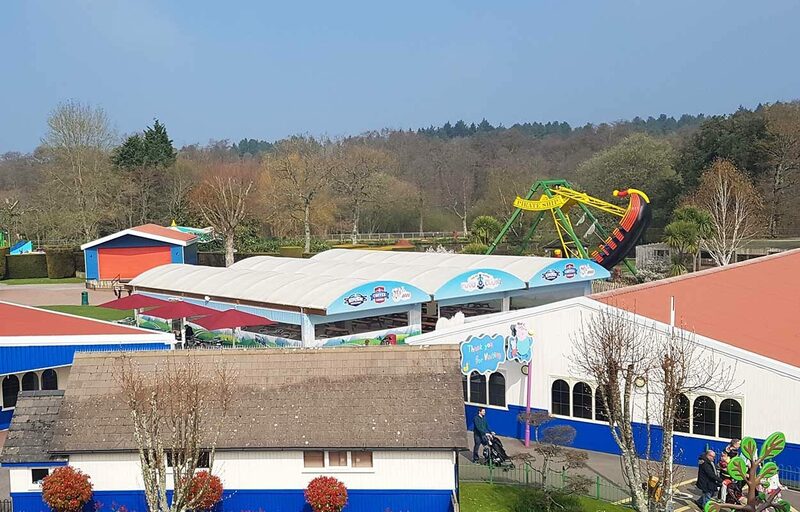 With a total area of 441m², the canopy is completed by a light stained oak finish and an Opal 60 fabric roof covering.